Collagenase is probably the most exciting development in Dupuytrens treatment in the last 100 years. We finally have a non surgical treatment for Dupuytrens! Excitingly this is the first biological type agent to reach the mainstream in orthopaedic/plastic surgery. Whilst the main impetus is for dupuytrens I think we can expect this to change many present day surgical techniques in other branches of surgery. There are already trials in Peyronies and frozen shoulder. Collagen is the standard building block of the soft tissues of the body and comes in a variety of different types, a bit like breakfast cereal, Cornflakes, Rice Krispies, Weetabix, different types but all cereal. Collagen is basically a piece of string which can join together to form a sheet or be rolled up in the body to form a tube or linked strongly to form a tendon. Each specific usage tends to have mainly one type of collagen. So Type 1 collagen is used by the body to make tendon, bone ligaments and Dupuytrens. The advantage of so many different types is that each one needs a specific enzyme to break it down. Collagenase is actually a mixture of two separate enzymes, Aux-I and Aux-II. The first enzyme takes the strands of Types 1 and 3 collagen and chops the ends off. The second then takes the remainder and chops it into little bits. The table of course shows the danger of the collagenase! It will digest ligaments, scar tissue and tendon, given half a chance. So we have to be very careful where we put it. Collagenase has been developed over the last 15 years by Professor Larry Hurst from Stonybrook Hospital, New York. He has put a lot of hard work and energy into getting this developed. Finally Auxilium Pharmaceuticals stepped in and brought money and knowhow to the table and it was granted an American FDA license last year. The drug is called Xiaflex in the USA and Xiapex in Europe. The drug is now fully approved at the European level. The UK can now use the drug without further government level hurdles but this is not the case everywhere. There are two further hurdles to go through. Firstly the person administering the drug has to be trained. Xiapex is a powerful drug and therefore needs to be used in an appropriate fashion. There is a formal training program and accreditation. You do not need to worry as Pfizer will not sell the drug to an untrained surgeon. The second hurdle is again twofold and is to do with hospital approval for a major change of practise and the payment by the PCTs. I believe that there is one PCT that has approved the treatment but so far only the Welsh Medicines Group have approved it for NHS use. At the moment all of our trials are fully recruited and we have no more planned. 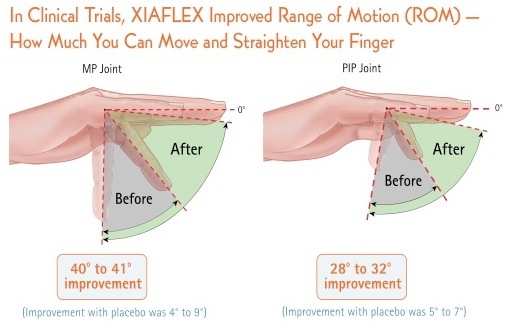 Xiaflex is now fully available to Private patients, both self pay and insured. The drug is very expensive, approx £650 per vial and we therefore need to be sure that the hospital will be paid. You therefore need to have explicit approval for procedure code T7440 from your insurer or have guaranteed the price of £1700. 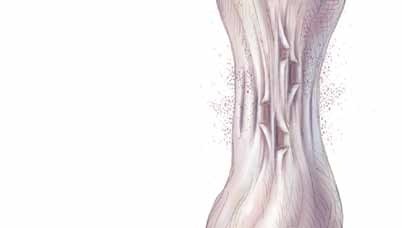 XIAFLEX contains a mixture of enzymes that are injected directly into a Dupuytren’s cord. These enzymes help break down collagen, one of the main components of the Dupuytren’s cord. 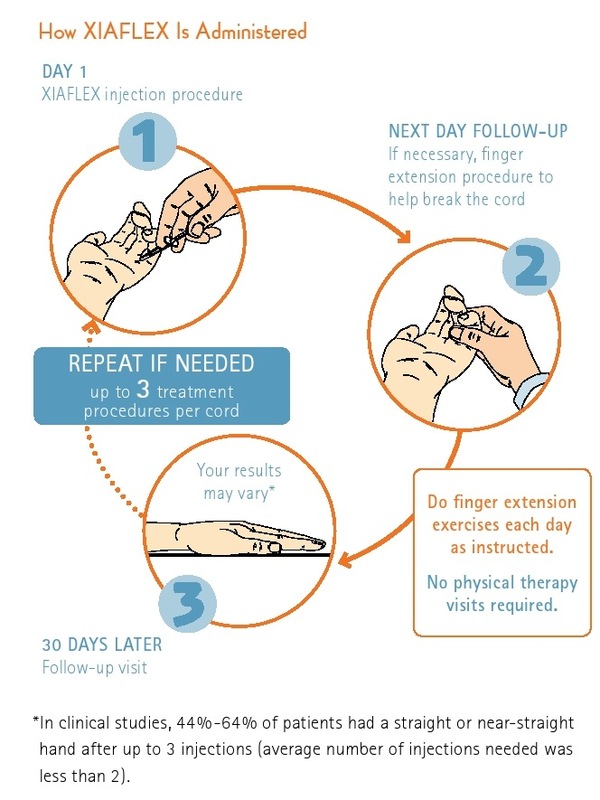 XIAFLEX helps break the cord, which can help straighten the finger. action on the injected cord. Please be aware that these are idealised representations. 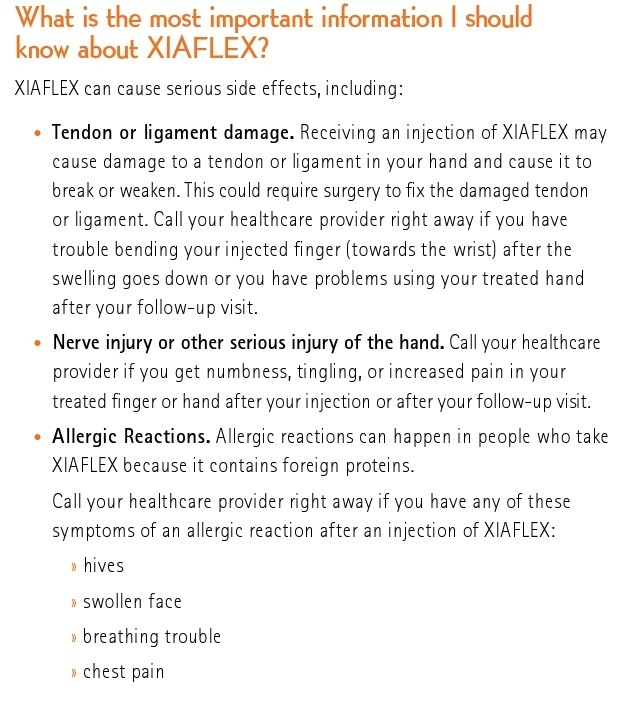 Also the Xiaflex is a foreign protein and many patients have swelling, bruising and other side effects although these settle quickly in the vast majority of patients.There are possible serious side effects. This is a link to an american patient information video.